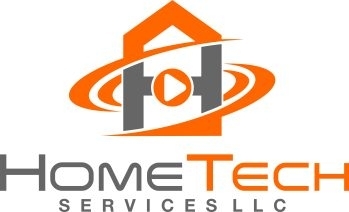 HomeTech Services is a full-service integration firm, providing sales, installation and service of residential electronic systems. With almost 20 years in the custom-installation industry, you can be sure that we can recommend, install and maintain a state-of-the-art system in your home, which will fit your needs, lifestyle and comfort-level. We work with brands that offer reliability, quality and value. While they may not always be the least-expensive, our systems offer the value of our experience and service. We are factory-trained on many of the lines we carry and are fully insured.Our mission is to offer honest advice, that you can understand (we try to avoid “tech-talk”) and install a system based on your needs and the way you live, not simply the most expensive option. Above all we focus on ease of use – all the technology in the world is useless, if you are not able to operate it simply. Whether you want to finally install your dream A/V system, be able to check in on your home while you’re away, or simply get better wi-fi coverage, give us a call or visit our website and find out why our clients are happy with the investment they make in their homes with a system from HomeTech Services. I would not have a functioning state of the art television and surround sound throughout my house if it were not for this service. Honest, knowledgeable, polite, considerate and reasonable. Incredibly responsive. In other words, if you need technical services for your home, you cannot go wrong.